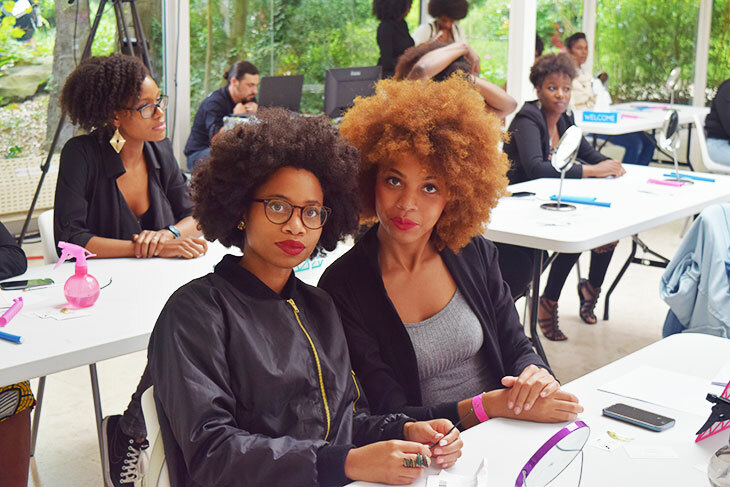 A special report from the Natural Hair Academy in Paris which took place on June 11. Like most naturals would say, I learnt everything on the internet, especially from bloggers and YouTubers who used to share their stories like Naptural 85, Révèletoi, Afrobelle, Moknowshair, Blackbeautybag and Naturalistas. The natural scene in Paris is still fairly new. Prior to now, it was quite unusual to find events dedicated to black hair only. Before the NHA, there was the Ebene Curl Show (aka Salon boucles d’Ebène), founded in 2005. Hair blogging started to grow slowly. Grassroots workshops started to appear with followers and bloggers coming together to do DIY workshops. 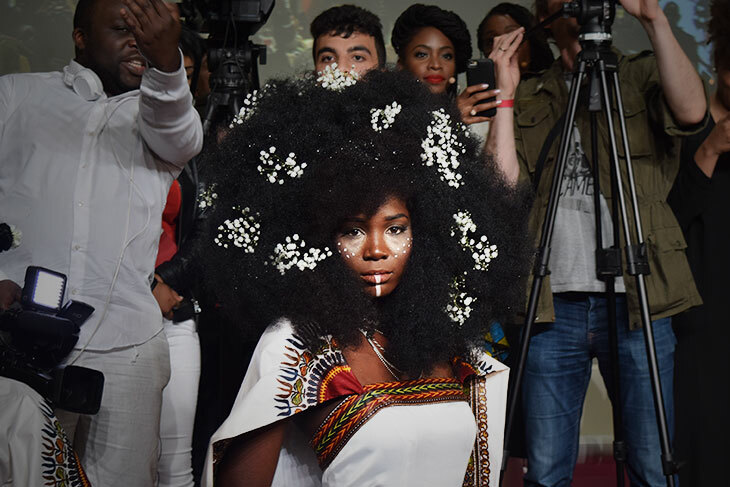 You’d often see natural hairstyles most often at culturally-oriented spaces like soul and jazz clubs in Paris – Bizz’art, the Djoon and the New Morning. Listening to soul music, I was heavily influenced by the likes of Erykah Badu. Needless to say social media transformed and pushed the Afro hair movement to expand tremendously in the past few years. This helped shift mindsets to accept natural African beauty in all its glory. 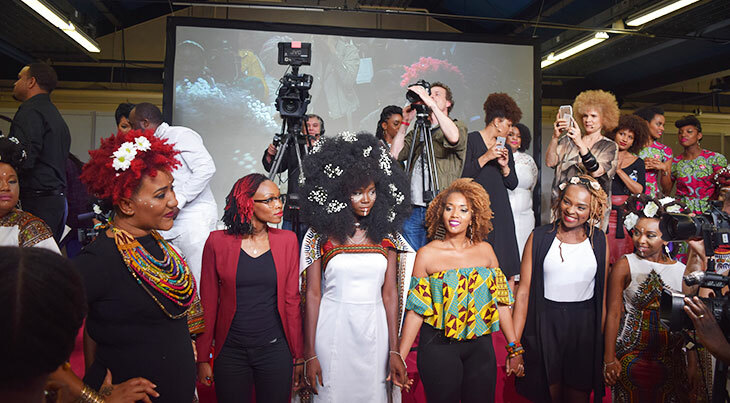 The emphasis of imagery, that mostly defines social media and the internet, has contributed to the shift in our beauty norms, allowing us to see nappy hair as something beautiful and healthy. Despite diverse cultures, backgrounds and education, we all share the same stories with our hair. The NHA organiser Didier Mandin, founder of AK-A (African and Caribbean Awareness) agency specialises in ethnic marketing. He recognised an opportunity to create an offline space for bloggers, followers and brands to meet. At a time when black beauty was not being celebrated or acknowledged due to lack of information (or interest?) 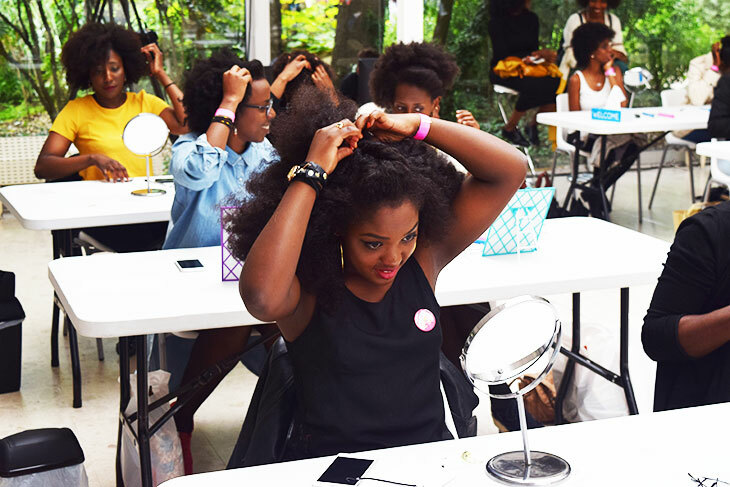 the Natural Hair Academy opened up fields of possibilities for naturals. 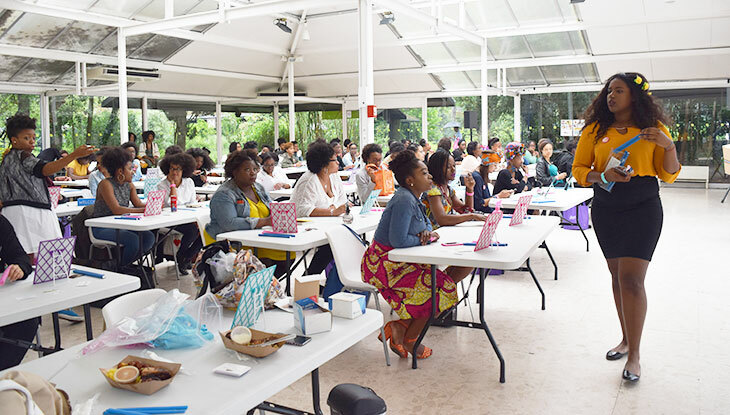 It has been several years since the NHA started, and now it offers a wealth of information for natural women who wish to learn about hair care. 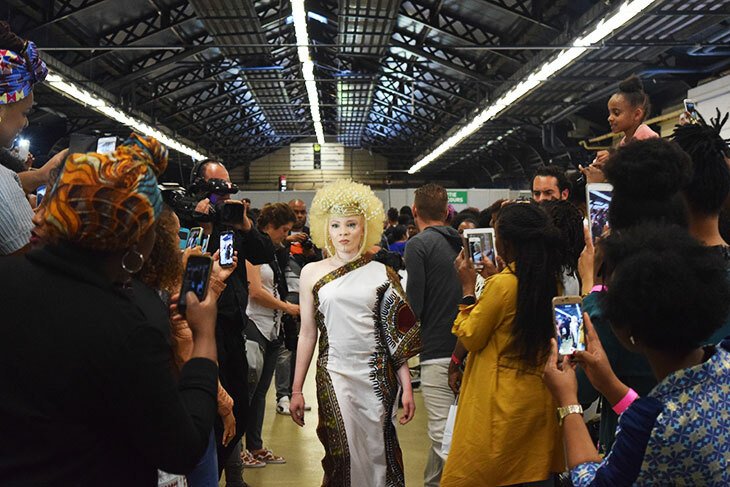 Coming from France, the rest of Europe and beyond, there were more than 4,500 visitors this year, exceeding the organiser’s expectation, who first estimated 3,000 people. 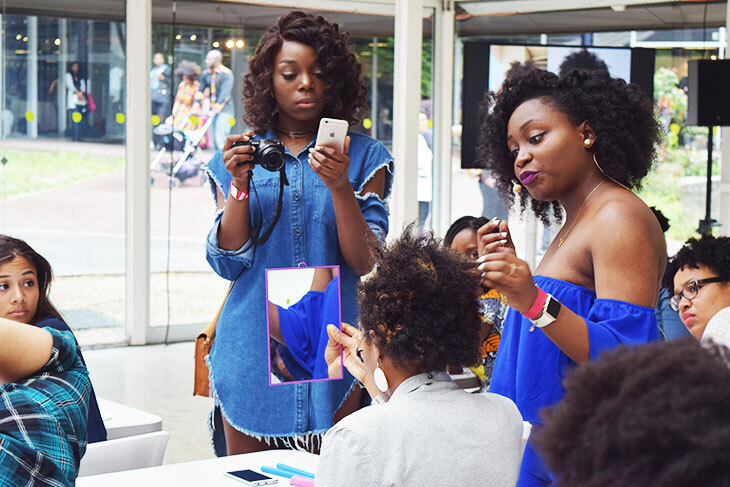 New ‘transitioners’ or ‘big choppers’, hair-product junkies, hair advice seekers, beauty explorers, hair blogger fans and simply curious NHA visitors came to educate themselves, buy products that aren’t well distributed in French retail stores and meet their favourite bloggers. 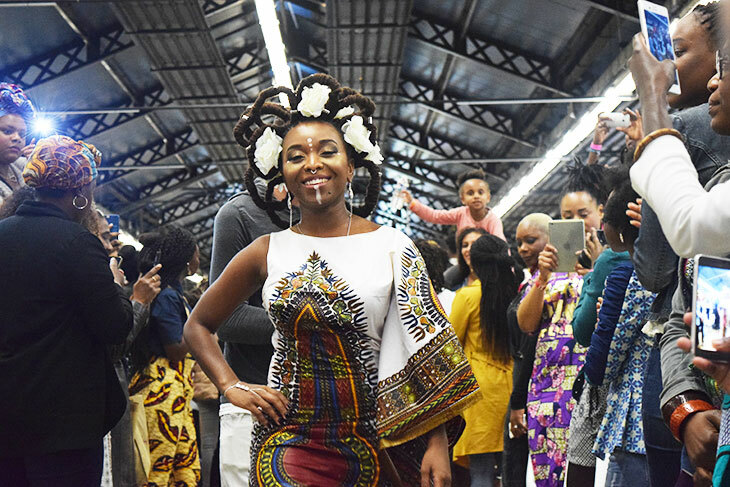 The beauty of this event is that it celebrates natural hair and black beauty regardless of any nationalities, religion, education, social background, political commitment or any other criteria. When speaking to attendees, I heard the same stories. Despite diverse cultures, backgrounds and education, we all share the same stories with our hair and the same discomfort before the natural hair movement arrived. I guess this is what the Teyonah Parris referred to when talking about ‘sisterhood’ during the empowerment panel. It’s not a trend; it’s a new way of seeing beauty. Jessica Lewis, from Mahoganycurls, said it best: ‘My vision of beauty is self-love, confidence and be strong’.